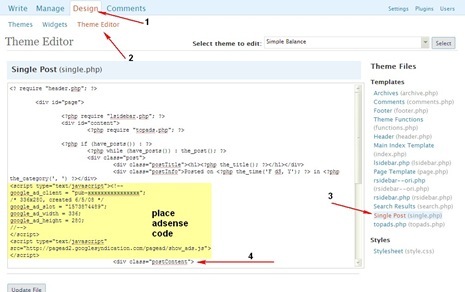 Data Compression is the way to go if anything has to be sent fast and keeping the size of data to as small as possible without loosing its integrity.This is the reason there are archiving tools like WinZIP, 7ZIP, WinRAR, etc.,Online data compression is also present where webpages are compressed using compression techniques like GZip on the server side to compress the data on requests for webpages which translates to faster loading of webpages and also help end-users to not overshoot the fair usage policies set by ISP. 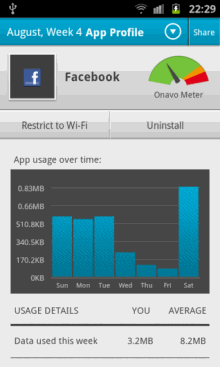 When it comes to mobile devices data compression is even more important as the 3G plans and GPRS plans for mobile users are calculated based on data transferred.The smaller the size the more you can save on the data transferred.Android and iOS are the most active Mobile OS with many apps on their app stores.Here’s ONAVO for heavy mobile internet users using 3G or GPRS for saving on data transfer.The app does this by compressing the data which is transferred on your mobile phones while using the internet.The application compresses the data received thus resulting in better bandwidth management.The app compresses both browser data and those used by applications, and at all times shows full reports of the savings we have made. How does Onavo do this ?? 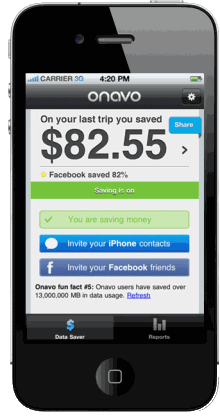 Onavo creates a VPN connection to its magical shrinking machine ( a cloud based technology ) which compresses your downloaded traffic (HTTP).Once the app is installed you can go back to using your phone as before as the data you receive to your phone is compressed in the background. Onavo is available for iPhone/iPad and for Android as Onavo Extend.This is currently available as a free app and is planned to be paid app in the future.The other limitation being the Android version is available only on Android Ice Cream Sandwich based Mobile Phones. 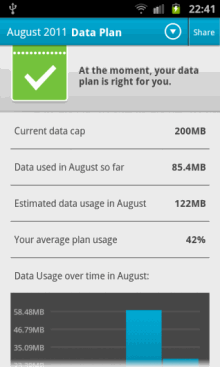 If you want to have a detailed information about the data consumption pattern of the apps installed and limit the applications to just WiFi, then also check out the Data Monitor for Android from the same developer.The app works silently in the background and keep a watch on the data consumption of various installed applications on your device, thereby helping in identifying app’s consuming heavily which can be tackled either by limiting the connection to just WiFi or uninstalling such apps from the Data Monitor Options.